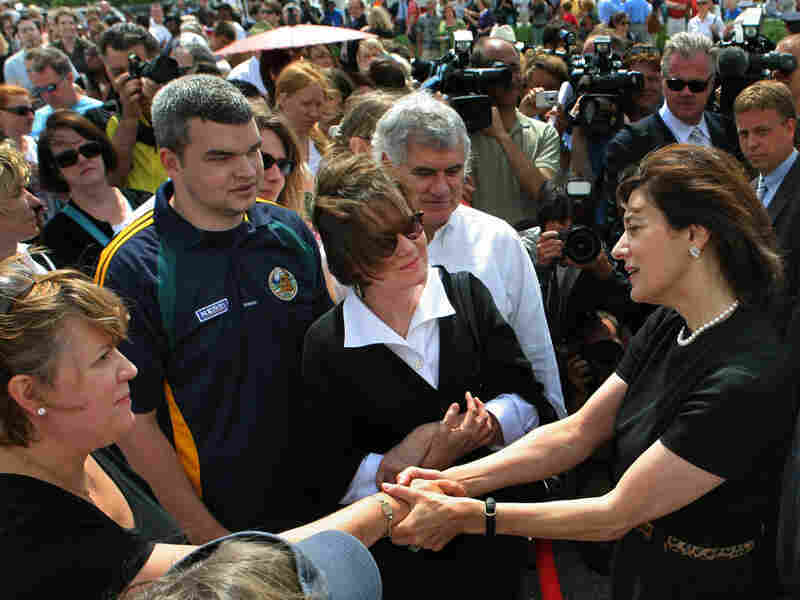 Crowds Pay Respects To Kennedy Thousands of people lined up at the John F. Kennedy library in Boston to bid farewell to Sen. Edward Kennedy. The crowd included people who had never met Kennedy and dignitaries who knew him well. Thousands of people lined up at the John F. Kennedy library in Boston to bid farewell to Sen. Edward Kennedy. The crowd included people who had never met Kennedy and dignitaries who knew him well. Senator Edward Kennedy will be remembered tonight by his closest friends and family at the John F. Kennedy Presidential Library. The program includes a video tribute as well as some of the senator's favorite music. In the meantime, thousands of visitors continued to stream by Kennedy's flag-draped casket today to pay their last respects. TOVIA SMITH: Yesterday's last visitors left at two in the morning and people began lining up today before dawn. They came from Nigeria, New Hampshire, Portugal and Pennsylvania. Those who never met the senator and others who knew him well, like Reverend Jesse Jackson. Reverend JESSE JACKSON: Ted Kennedy will live after his death. The impact of death (unintelligible) will not stop (unintelligible) vision for a - a more inclusive healthy America. 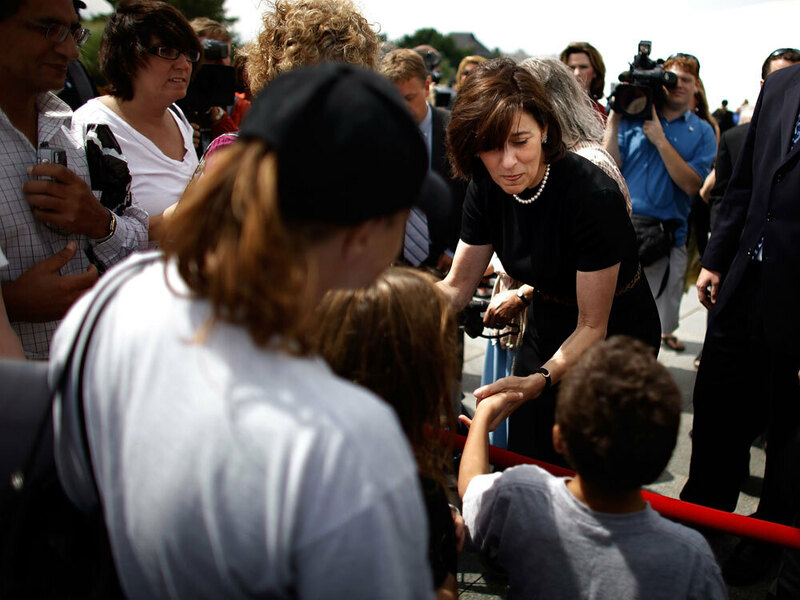 SMITH: At about 11 this morning, the public was held back so members of the Massachusetts legislature could have a private moment to pay their respects. State Senator STEPHEN BREWER (Democrat, Massachusetts): It really is a family wake inside of there. SMITH: Democratic Senator Stephen Brewer says he felt like it was his family. He says he's lost what he called the inspiration of a lifetime. State Sen. BREWER: You know, the wealthy and the healthy and the affluent will always have plenty of advocates but it's the people who live in the shadows of life that Ted Kennedy fought for. It all began with John Kennedy and went to Robert Kennedy and it was carried on by the greatest United States senator in the United States history, in Ted Kennedy. SMITH: The emotion has been overwhelming and to some, a little surprising. Everyone knew what was coming but Lyall Cohn(ph) visiting from Texas, and fighting back tears, says that didn't make it any easier. Mr. LYALL COHN: You're never really prepared. It's different to hear that the end has come rather than the end is near. SMITH: But Kennedy's diagnosis over a year ago did give the senator opportunities that were denied his brothers - John Kennedy and Robert Kennedy. 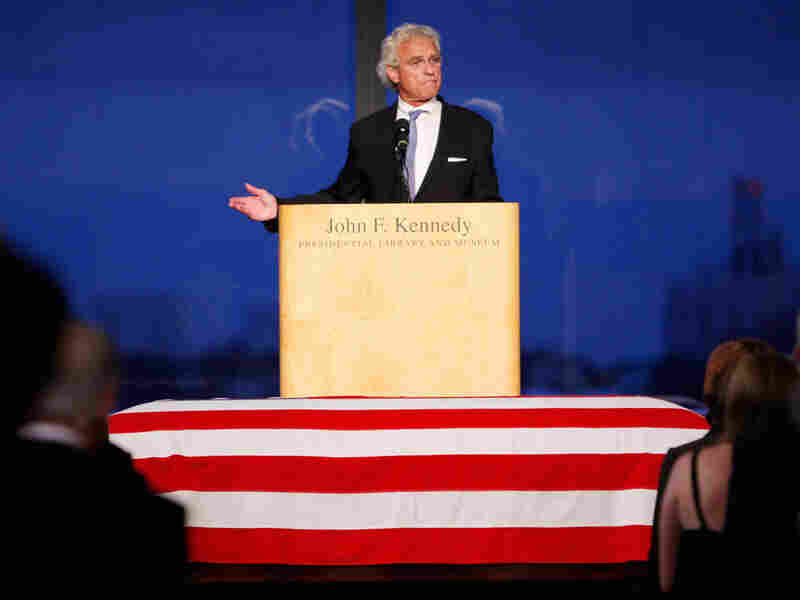 Robert Kennedy Jr. says that was something Ted Kennedy cherished. Mr. ROBERT KENNEDY JR.: The last year of his life was almost a gift because he knew that he hadn't have much time. But he was able to kind of take a victory lap and he was able to accept, you know, a lot of the tributes that, you know, were offered to him during the last year. That was really touching to him. SMITH: Tonight will bring more tributes. It's not being called a memorial service, rather a celebration of life, and many expect it to be the quintessential Irish wake. The senator who was known for his love of music and laughter will be remembered tonight with singing and old stories. Indeed even amid the public outpouring of tears over the past 24 hours, there have been laughs too, as old friends reminisce about the good times. Mr. EDMOND REINSBURGH: We used to go to a lot of parties up here in the early days, (unintelligible) you could let your hair down, see? SMITH: Eighty-eight year old Edmond Reinsburgh(ph) who grew up with the Kennedys found himself still laughing 20-odd years after the fact about one summer clam bake at the Kennedy compound when the senator teased Reinsburgh's young granddaughter and got teased back. Mr. REINSBURGH: …you're fat enough. Mr. REINSBURGH: So, he was laughing. And we were all laughing like heck. SMITH: The senator's closest family, friends and colleagues will share their own stories at tonight's celebration. Speakers include his niece Caroline Kennedy and his nephew former Congressman Joe Kennedy as well as fellow senators from both sides of the aisle: Democrats Chris Dodd and John Kerry, and Republicans Orrin Hatch and John McCain. Meantime, the non-dignitaries will continue to share their own memories everywhere from kitchen tables in Boston's North End to the beaches on Cape Cod.